time to go out with your single mates and get totally annihilated! We normally blog about recruitment, social media etc… blah blah blah! Today we want to get a little soppy and talk about lurrrrrvve… or as recruiters used to call it in our day “scoring”. 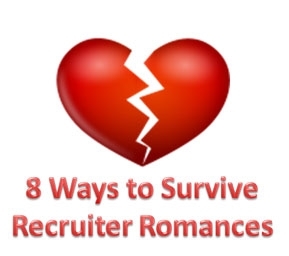 We’ve picked our brains (and maybe our history) and come up with some tips for surviving a recruiter office romance. 8 Tips for Recruiters to ensure that their office romance doesn’t get out of control! Overcompensate at work and give each other a really hard time! Own really mainstream cars so when you follow each other in to work on the route that everyone else follows, you’re not spotted! Don’t disappear into the server room together to tidy the cables! Get married! Have kids and start your own business!